I am so excited to announce that I have been selected for the 2017-2018 Chick-fil-A Moms Panel! Anyone who knows me, knows that I have a crazy obsession with Chick-fil-A. We can be found eating there multiple times a week, and not JUST because it’s the only air conditioned play place in town, but because my family genuinely loves the great food and friendly atmosphere. I’m incredibly excited to be part of this year’s panel! Here’s the answers to a few questions I’ve been asked recently. What’s the Chick-fil-A Moms Panel? The Chick-fil-A Moms Panel is a corporate initiative which works to bring influential moms firsthand Chick-fil-A news and announcements, gather feedback on future programs, such as Kid’s Meal prizes, provide exclusive opportunities and provide a few fun gifts along the way. A few months ago, a link to apply circulated around a few blogger groups I am part of on Facebook. The link led to a survey from BSM Media and asked questions regarding social media accounts and follower count as well as how frequently I visited my local Chick-fil-A. I am not sure how many applications were received, but there were close to 1,000 moms selected to be part of this year’s Chick-fil-A Moms Panel. This post contains affiliate links which means I may make a small commission on products purchased from the links in this post. This helps me continue writing and supports my family financially.
. I’m sharing an easy to follow tutorial AND my cut file below!
. If you haven’t heard of this before, prepare to have your world changed! This machine will definitely take your craft projects to the next level. Download the cut file here. Go to www.cricut.com/design and upload the png file. Insert it into the design space. Click ‘Make it’. Then be sure to check the box to mirror the image. in the color of your choice onto the cutting mat. The glossy plastic side should be face down. Turn the dial to the correct position, I usually go one up from the standard ‘Iron On Vinyl’ setting. When the ‘C’ button starts flashing, press it and then watch the Cricut work it’s magic. from Cricut is much easier! I don’t own the rights to the Chick-fil-A, Target or Disney World logos! All images and rights belong to their respective owners. I am providing the png file for FREE for personal use only. 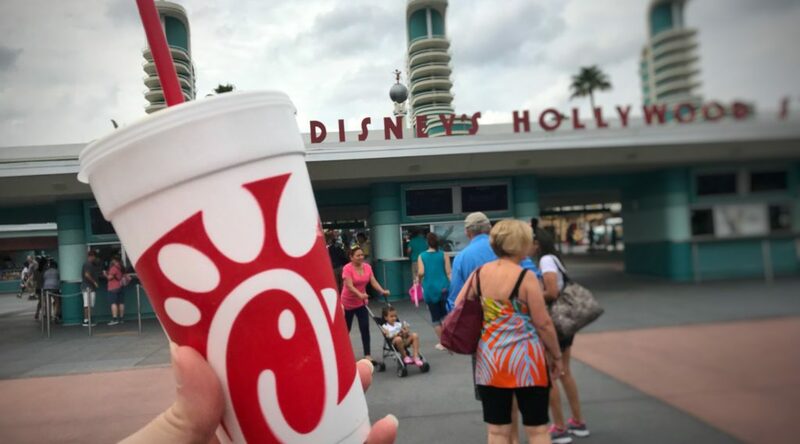 Chick-fil-A goes perfectly with trips to Disney! We stop at the exit RIGHT before Disney World on almost every trip to fill our bellies with Chick-fil-A before heading to the parks. 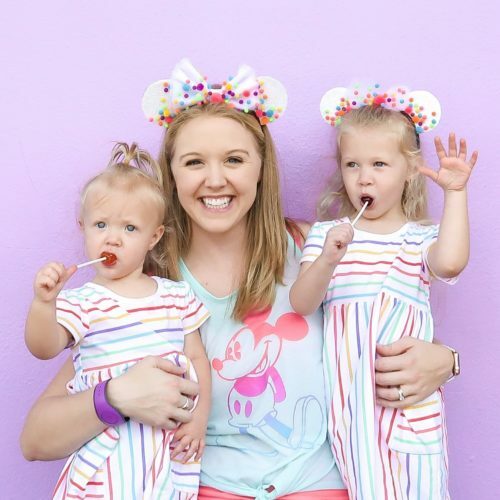 See more of our Disney adventures! Are you a fellow Chick-fil-A lover? Tell me in the comments below! Perfect shirt for me! I’m in the panel too and love Disney and well who doesn’t love Target? ? 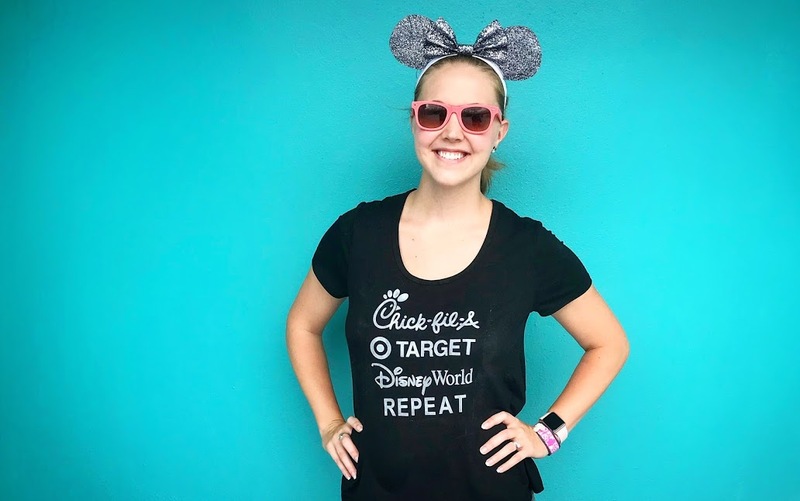 I am part of the Chick fil a moms panel and love target and Disney too! Yay! I love fellow Chickfila/Target/Disney loving mamas! Do you have a blog as well?! I’d love to follow!